Chicken Buffalo Dip with Celery - Perfect Tailgate Recipe for Less! 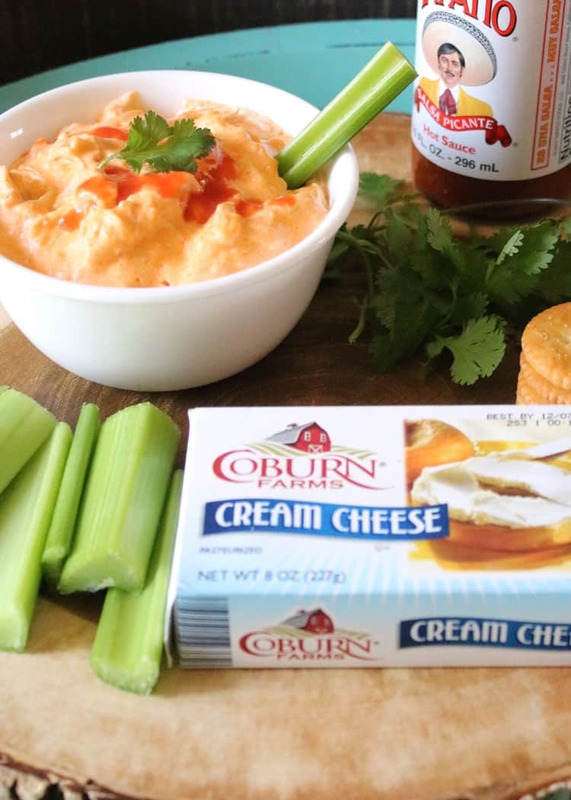 You are here: Home / Crockpot / Chicken Buffalo Dip with Celery – Perfect Tailgate Recipe for Less! Are you ready for some football? Tailgating, that is! 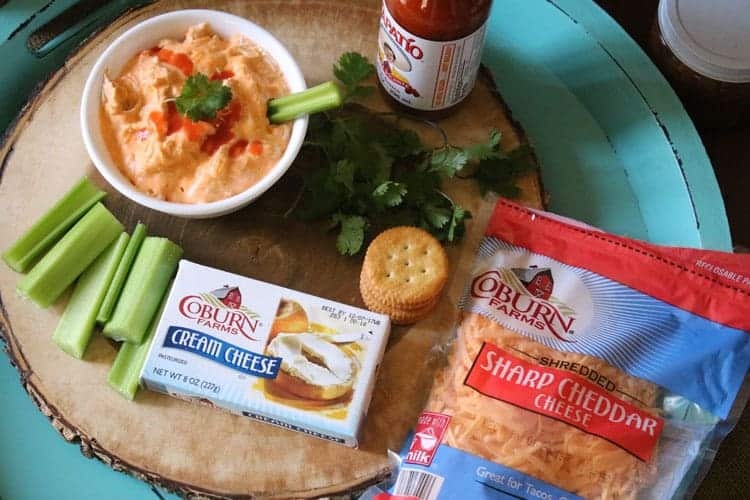 Whether you’re cooking up something yummy to take to the game or you’re tailgating in front of your television, our Chicken Buffalo Dip with Celery is the perfect tailgate recipe and one you will want to try. We’re talking about a yummy quick and easy tailgate snack that is healthier for you. Veggies, check. Protein (chicken), check. Calcium and Vitamin D, check and check. All packed together with the flavor of hot sauce. YUM! 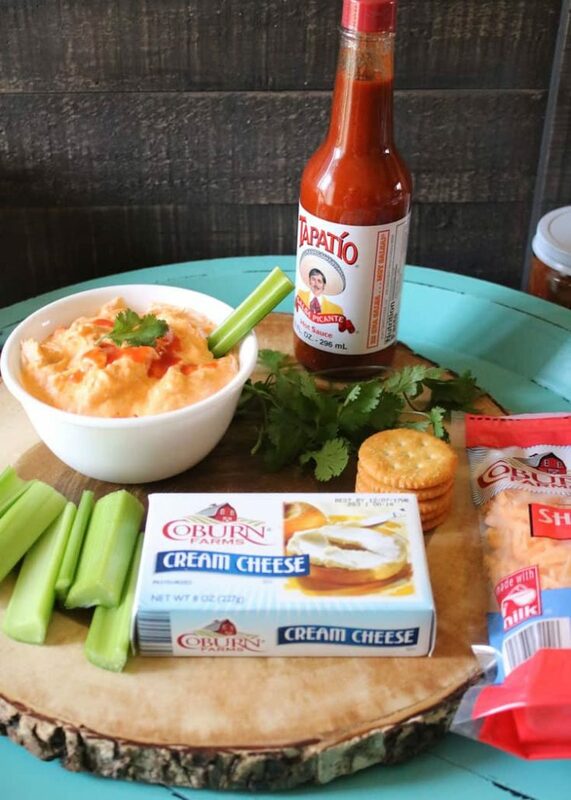 It’s a hot cheesy chicken dip perfect for a cool day or game time anytime. We just love it! 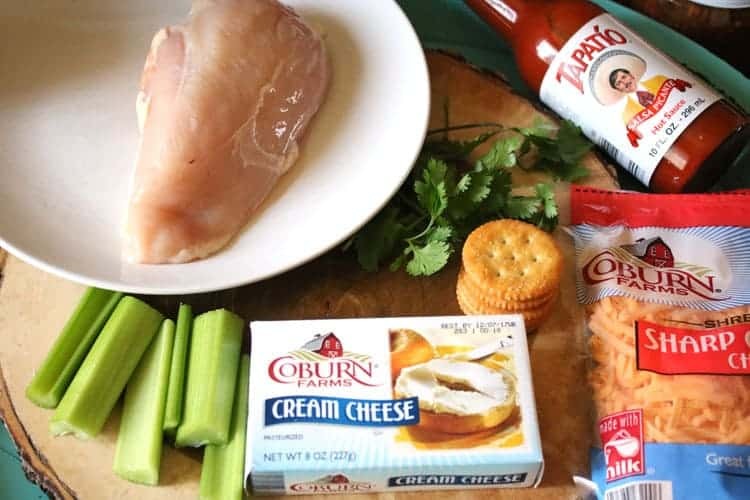 We shopped for ingredients for this tasty recipe at Save-A-Lot in Beloit, Illinois, and were thrilled to see their great prices. Seriously folks… we’re talking about a tasty tailgate recipe here for not a lot of money at all! I don’t know about you, but I think saving money is always a good thing. 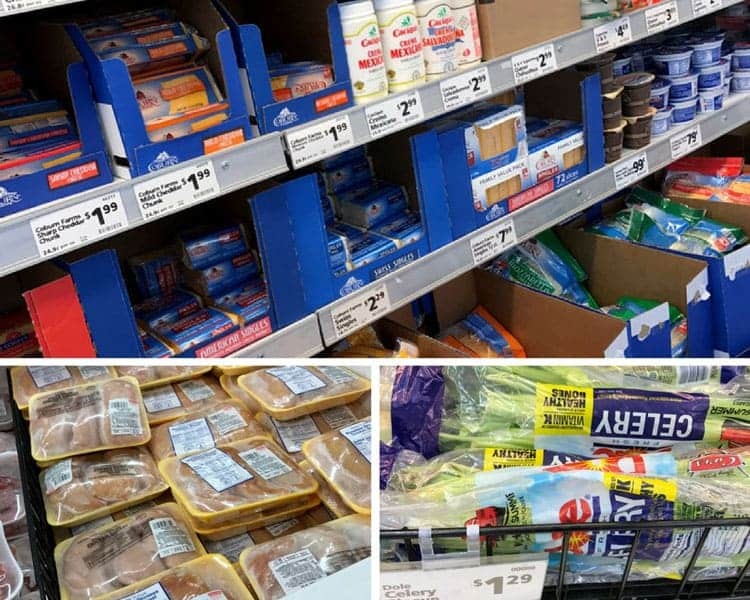 Visit Save-A-Lot’s weekly ad. With all the fresh meat and produce, you can be sure you’ll find the perfect ingredients to create a yummy and affordable recipe. I used fresh meat and produce for our Chicken Buffalo Dip recipe. Personally, I like shopping the weekly ads. When I do this, I know I’m getting a great deal and I can base meals and recipes around what I find on sale. Save-A-Lot also has paper products, which means one less stop on my shopping trip! Our Chicken Buffalo Dip is perfect to munch on throughout the day since we cook it and keep it warm in a mini slow cooker. It also is AMAZING with celery or crackers. Pair this with some grilled veggies or chicken kabobs and you’ve got a well rounded delicious tailgate meal. Want to win a $25 gift card to Save-A-Lot? We’re giving away 2 -$25 gift cards on Twitter! Add chicken and hot sauce to slow cooker on high heat. Cook for 1-2 hours until chicken is cooked enough to shred with forks. Remove chicken to plate and shred chicken. Add chicken back into the slow cooker. Add cream cheese and Cheddar cheese to the slow cooker. Reduce heat to low. Cook for 2 hours and stir. Reduce heat to keep warm. Serve and enjoy!